We put together the perfect gift for every popcorn enthusiast! 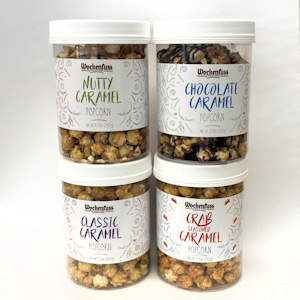 Try our Classic Caramel, Crab Seasoned Caramel, Nutty Caramel, and Chocolate Caramel Popcorns! **Please note, gift-wrapping is not available on this product due to its container.